The traditional shape of a lampshade inspired Front’s design. 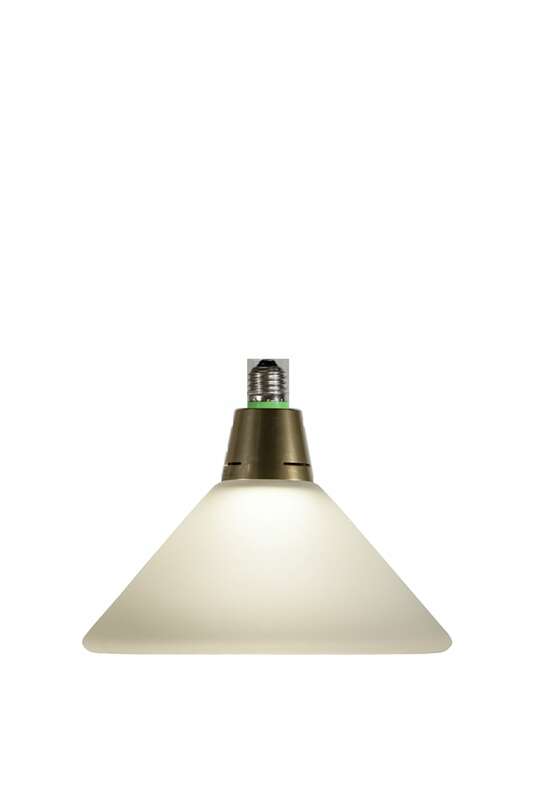 This Booo bulb merges a lampshade and a light bulb into one stand-alone piece. 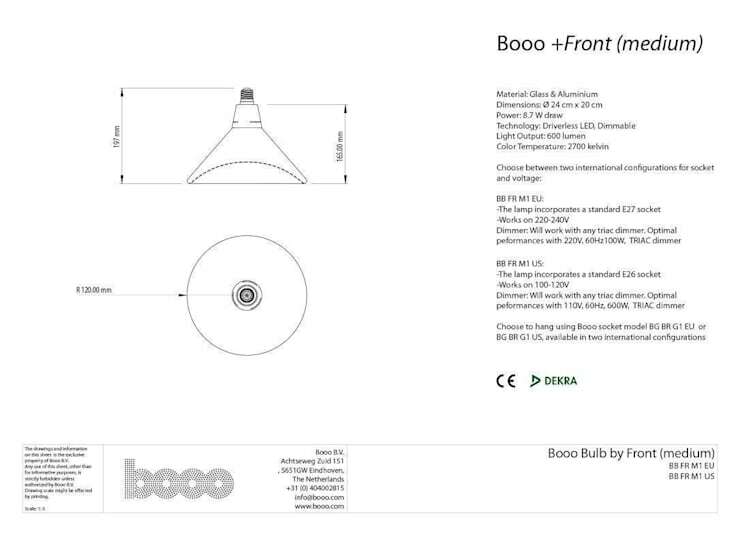 The Booo bulbs by Front are enclosed structures, they have inner domes that soften the light and create a warm and pleasant atmosphere in the room. It comes in an assortment of three sizes. 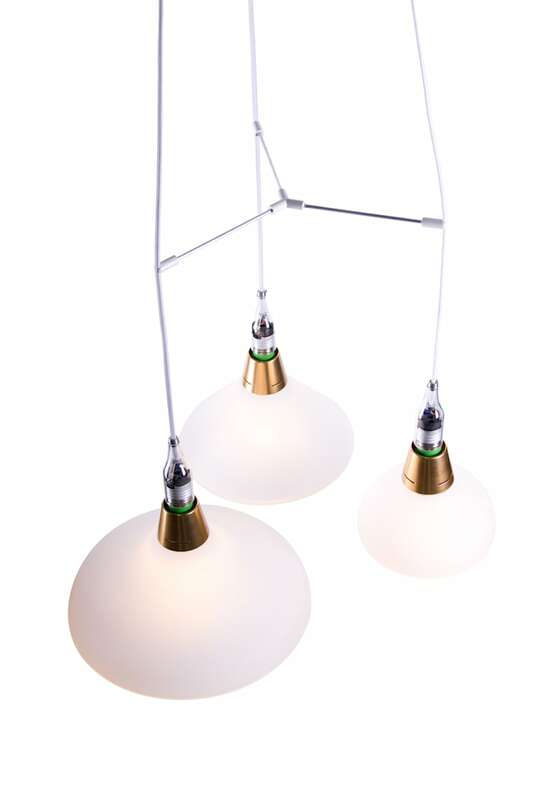 The small, medium and large lamp on our triple pendant.